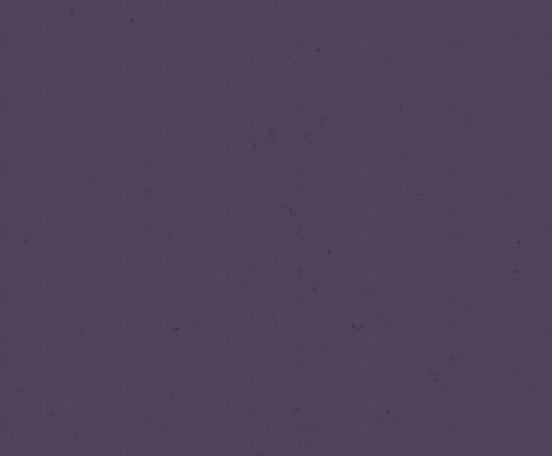 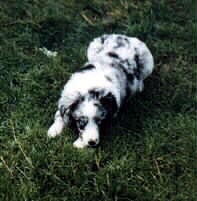 Wannabe Moody Blue of Bonza! 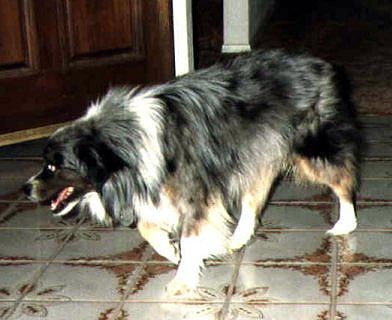 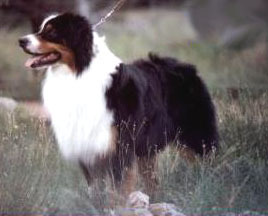 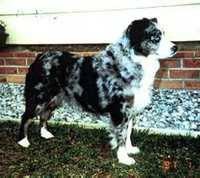 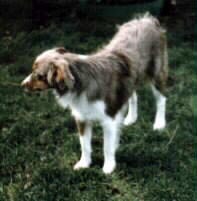 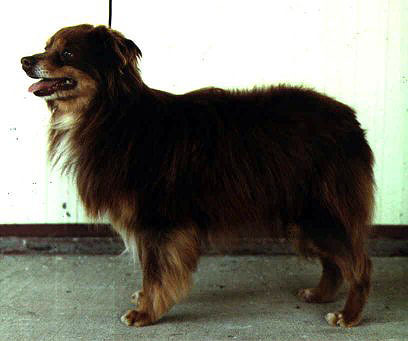 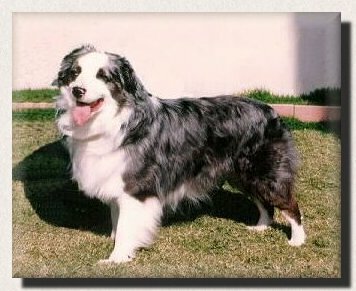 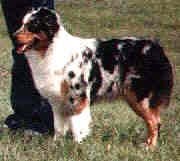 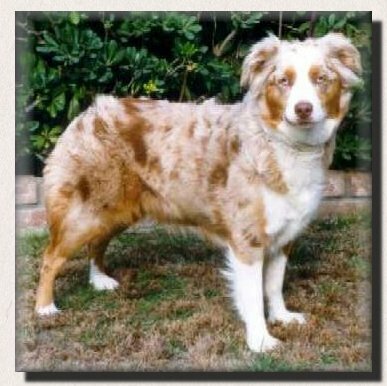 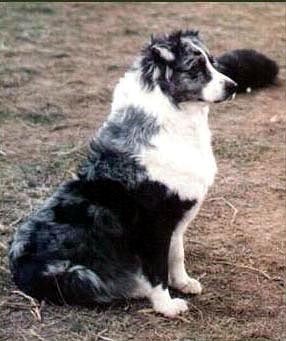 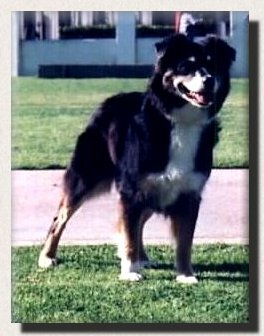 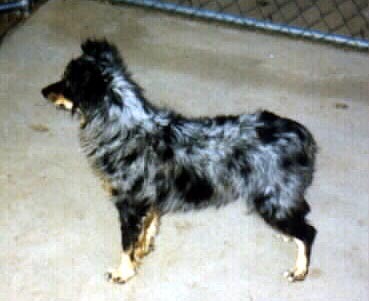 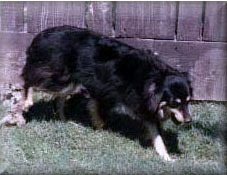 This was an exceptional cross, which became the foundation of my mini breeding program, and ended up having a major impact on the mini Aussie in general. 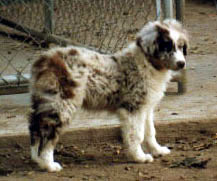 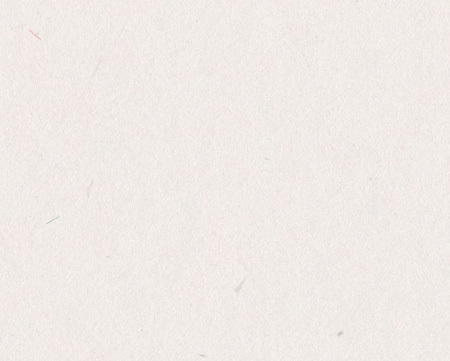 Many of the top minis can be traced back to this cross. 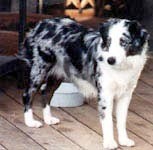 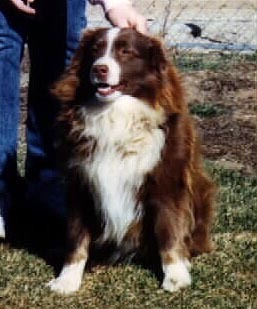 Bonza Mexicali Rose 'Cali' who became the foundation for Sierra kennels. 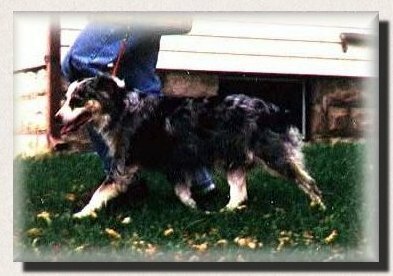 These 4 were the only ones to go to show homes, and they all finished very quickly. 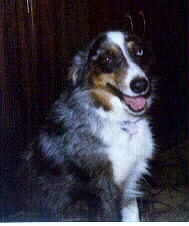 Wanna'be Moody Blue of Bonza!